Getting your home ready to sell can seem like an endless project. You call an agent and they give you an even bigger list of things “you must do…before I can even put this on the market!” When I work with sellers, I focus on the little projects that can make the biggest difference. Here in Florida most homes have an abundance of tile. There are tile floors throughout, plus kitchens and bathrooms use even more tile. Dirty grout is a problem that sellers and other agents overlook everyday. Unless your home is brand new, you have a buildup on your tile and grout. A simple once over with the mop is not going to give your home that fresh feeling that buyers are looking for when they visit properties. This first impression is like a “moment of Zen” for buyers. Everything is on point. Bathrooms exude that spa-like feeling. To create this feeling, getting dirty grout out is job #1. Even if you get down on your hands and knees, armed with the latest DIY “magic formula” from Pinterest, you simply cannot restore your floors to their original condition. Truly getting your tile and more importantly the grout in between the tiles to their like new finish is a small thing that sets you apart from your competition. 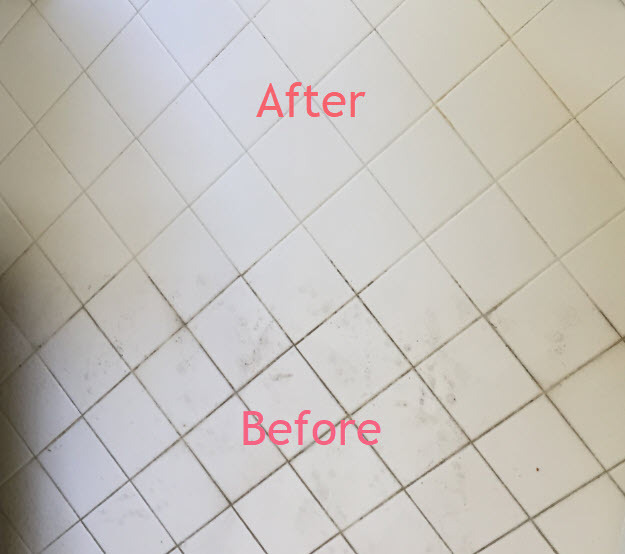 You’ve been living in your home for a while, dirty grout sneaks up on us, leaving your floors and tiled surfaces looking dull and dingy. Its hard to notice because it builds up slowly over time, even if you are the best housekeeper on the block. Before you put your home on the market, make the small investment that really makes a difference. Hire a professional to acid wash your tile and grout. The difference is night and day. Buyers and other agents who will be showing your home will notice and feel the difference. Your home’s first impression is critical in today’s competitive market. Cleaning that grout can pay big dividends when selling your home. Many carpet cleaning companies in our area offer this service. I’ve always used Like New Carpet Cleaning here in Jacksonville. I personally like their service. I’ve also heard great things from my sellers who’ve taken my recommendation to use them. I did a little research and as of this post they charge 39 cents per square foot. These guys use a 7-step cleaning process. Their system can generate up to 1500 P.S.I. when cleaning tile. There is no amount of scrubbing on your hands and knees with a toothbrush that can beat that. Give your body a break and solve this problem with a simple phone call. If you want to reach out to them directly, their number is 904-642-9950.